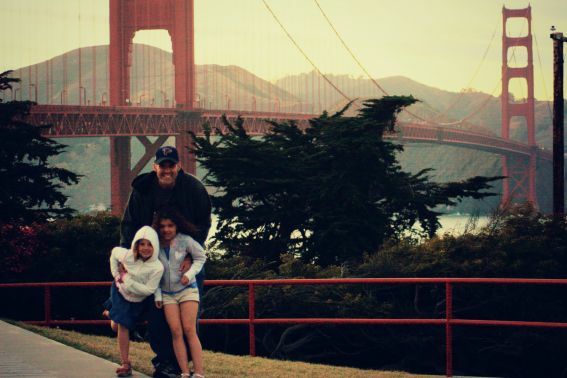 San Francisco is my favorite city to visit with my family. Every time I visit the Golden Gate Bridge, I am in awe of its massive size and ingenious architecture – especially considering its construction taking place in the early 1930s. The bridge spans 1.7 miles and offers breathtaking scenery and views of the city and the bay. Take a walk out on the bridge and snap a few pictures with your family. You won’t regret it. Tips: Bring a sweater; even in the summer months, the chilly air on the bridge can be biting. Although it is free to drive out of San Francisco on the bridge, there is a toll for your return trip. Pier 39 is definitely a tourist Mecca for obvious reasons. The pier is full of hundreds of shops offering plentiful souvenir scoring chances, loads of restaurants featuring the fare of both local and international palates, and entertainment options such as tours around the bay on the Blue and Gold Fleet, a beautiful old-fashioned carousel, and the Aquarium of the Bay. California Sea Lions call the Pier home and their massive clan of barking buddies can be seen year-round toward the end of the pier. Tip: At Fisherman’s Wharf, take the Boudin Bakery tour and get some yummy samples of San Francisco’s famous sourdough bread! Touring the Rock is a major attraction in San Francisco. Although very small children will probably not enjoy most of the tour of Alcatraz, they will get a kick out of the boat ride and wildlife spotting opportunities on the island. Tickets sell out early, so reserve your spot in advance. School age kids might actually enjoy the tour. 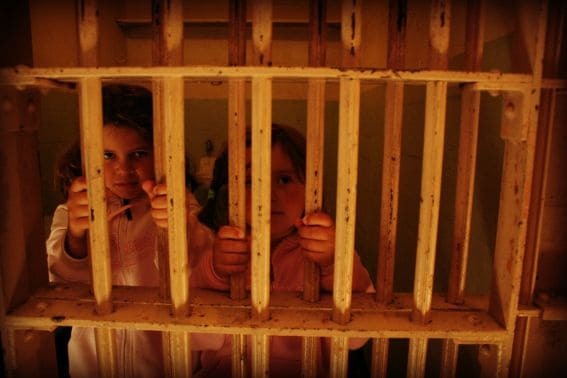 Despite the sad “locked-up” faces above, my older girls really enjoyed visiting Alcatraz. 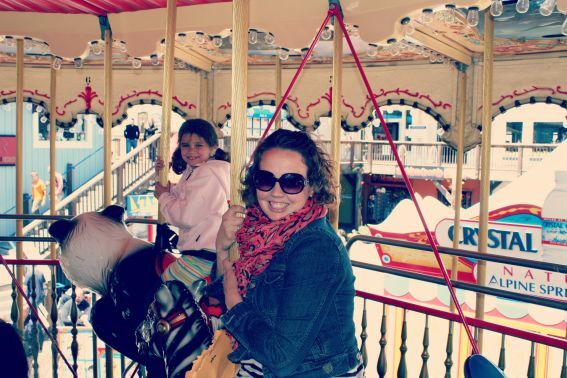 Check out numerous inside tips to planning your trip to Alacatraz with Kids. 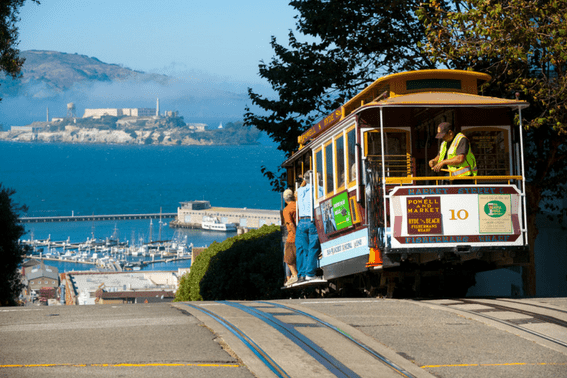 You’ve seen it in the movies, commercials, and on post cards, so hop aboard a cable car and ride some of San Francisco’s most famous streets. 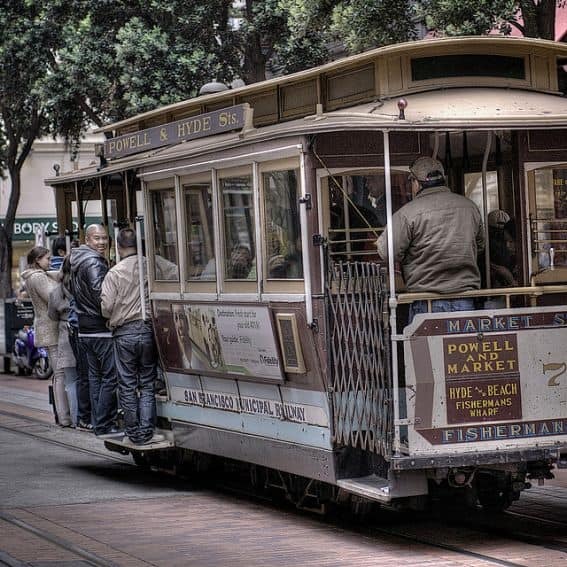 If you want to avoid the long lines as the line ends, feel free to board the cars at any of their stops along the route, marked out by brown cable car stop signage. We have never waited more than 10 minutes to board a cable car at one of these stops, but lines can get VERY long where the cars turn around and begin again. Tip: If you have older kids, they can “hang on” to the outside of the car for a fun experience. Younger children must ride inside the vehicle. Culminate your touristy day with a special ice cream treat at Ghirardelli Square. Although the square is no longer in operation as the actual chocolate making factory, you can enjoy their beautiful grounds, snag some samples in the store, and chow down on an incredibly rich chocolate and ice cream confection. The rear of the shop boasts a small chocolate making factory and explains the process of how the chocolate is made. Tip: If lines are long, head to the upstairs to-go only shop and enjoy your dessert by the fountain in the courtyard. Live music is often playing and it is a very relaxing way to end your tourist day. Love chocolate? Check out this incredible list of the best chocolate in San Francisco. 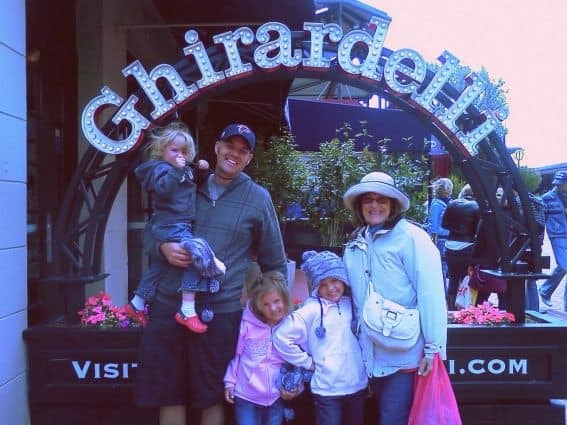 Read my full review of Ghirardelli Square. If you are headed to San Francisco as a tourist, I highly recommend the purchase of the San Francisco CityPASS. We have been using the pass on visits for years. The pass offers a convenient and budget friendly way to see the City’s top sites including many mentioned above and numerous other museums and attractions. For details or to purchase, head to CityPASS. Disclosure: I received complimentary tours and admissions to San Francisco attractions from individual businesses and CityPASS for the purpose of this review. I was not required to state any particular view; all opinions are my own. I have been to The City about 100 times but have never rode a cable car! Amazing, no? My brother is moving there next month so I will have to check cable cars off my list on the next visit!!! !